Medicine can only work if an animal takes it. 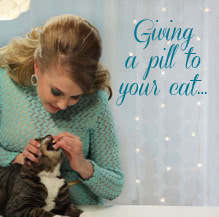 But no matter how tiny, tasty, or tempting an oral medication may be, it still requires an animal to swallow it. 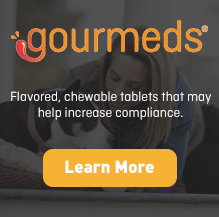 For sicker animals, that may have difficulty swallowing, or for animals that reject any medication, MediMelts may be the perfect solution for medication compliance. They look like a standard tablet, but are lightly compressed so they disintegrate rapidly on an animal's tongue, creating a paste that is less likely to be rejected. And a tasty flavor makes it seem like a treat for the animal. 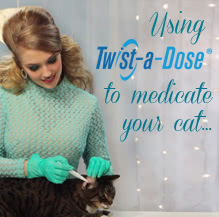 These preparations are available in the MediMelts dosage-form.